As announced at SOLIDWORKS World 2017 in Los Angles, we are adding a new data management product to our product line called SOLIDWORKS Manage. SOLIDWORKS Manage will leverage the ease of use and familiar Windows Explorer interface of SOLIDWORKS PDM with advanced capabilities to manage project timelines and resources, complex business processes, and advanced item management. SOLIDWORKS Manage will also offer a powerful dashboard and reporting functionality to provide instant access to critical information. Current SOLIDWORKS PDM Professional customers will be able to easily upgrade to SOLIDWORKS Manage and start taking advantage of the new capabilities quickly. SOLIDWORKS Manage will be able to take the place of separate disconnected tools an organization may be using to manage engineering resources and processes. For instance, we see organizations using Microsoft Excel to manage project timelines, which require a lot of time to keep updated and monitoring of user progress. With the project management functionality in SOLIDWORKS Manage, organizations can plan each stage of their projects, assign resources and tasks, and attach required documentation to the project. When users complete their work, project progress is automatically updated. 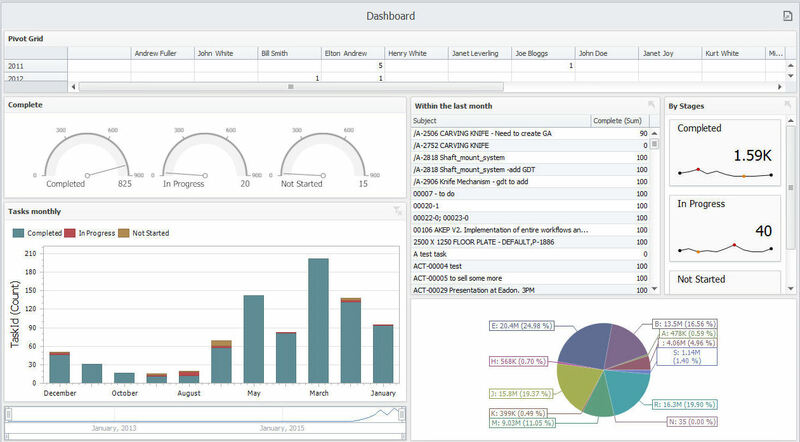 Project managers can take advantage of the powerful Dashboard capabilities to see critical information in one easy-to-understand interface. We are also adding great new functionality to our existing data management products: SOLIDWORKS PDM Standard and Professional. As shown in the What’s New in SOLIDWORKS 2018 presentation, we are adding automated SOLIDWORKS revision table capabilities to both SOLIDWORKS PDM Standard and Professional. This new feature will update revision table information based on the drawing approval workflow and read user-entered information from the revision table into the file’s data card. In addition our SOLIDWORKS PDM Standard customers will now be able to automatically create PDFs of their SOLDIWORKS drawings at various points in their workflow. 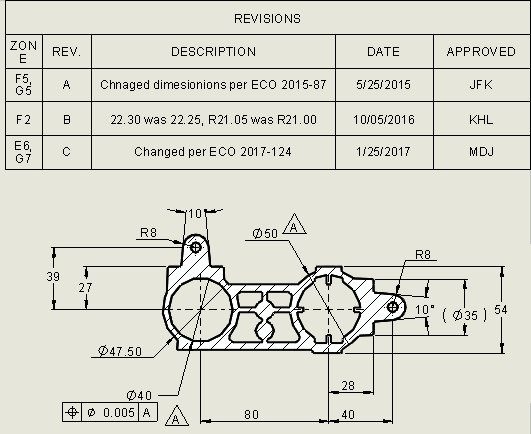 For example when a SOLIDWORKS drawing gets final approval, the PDF can be automatically generated. The SOLIDWORKS 2018 data management product line will provide broad scalability and a wide range of capabilities from simple, easy-to-use SOLIDWORKS file management to full project, process and item management. When their needs grow, their data management system can easily grow with them without data migration. This provides customers with the ability to distribute data management to many different areas of their business. To see how SOLIDWORKS data management products can help streamline your business, please click here or visit http://www.solidworks.com/sw/products/product-data-management/solidworks-enterprise-pdm.htm.